Introducing Bella Bows, a simply soft way to embellish your cards, layouts and crafts. to all projects. 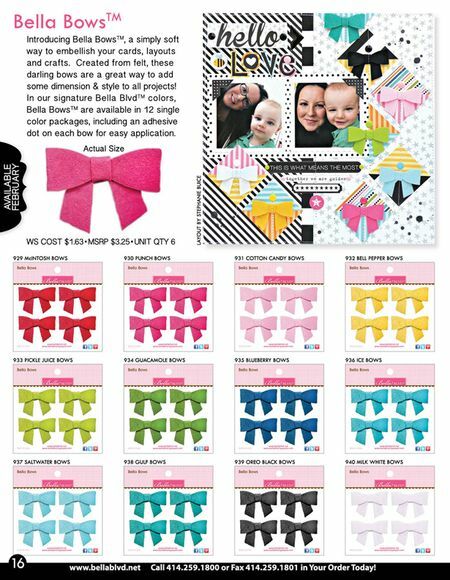 In our signature Bella Blvd colors, Bella Bows are available in 12 single color packages, including an adhesive dot on each bow for easy application. enamel accents in 9 different colors, matching perfectly to our paper collections. 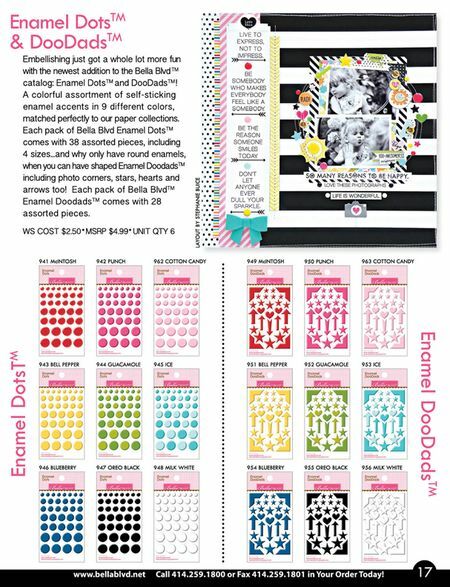 Each pack of Bella Blvd Enamel Dots comes with 38 assorted pieces, including 4 sizes. DooDads comes with 28 assorted pieces. Now here's your chance to win-it-before-you-can-buy-it! telling what you love about these new embellishments. Love the bows and the doodads! love adding these to cards and layouts! 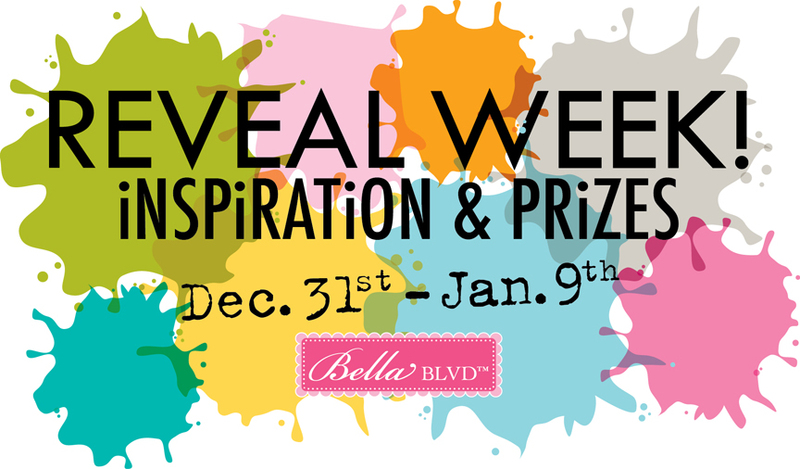 Love, love these sneak peeks and I am so glad that you will be designing for Bella Blvd!! Yeah - I am off to enter!! !